For eating October and November. 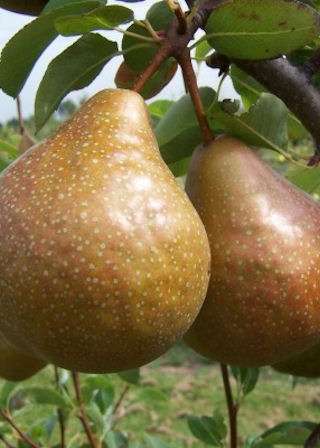 The fruits are golden yellow with a red-brown russet. A popular eating variety and a very good flavour. Very fertile and ideal compact growth for the smallest garden. The fruits have the advantage of storing well. Durondeau is self fertile. For the best results, pollinate with: Louise Bonne de Jersey, Doyenne du Comice, Josephine, Beth, Conference Williams, Concorde or Gorham.